A person, who made entertainment & commerce a synonym and made his life and deed meaningful, is Mr. Faridur Reza Sagar. He was born on the 22nd February, 1955 in an enlightened family. He is the eldest son of one of the most reputed fiction writers Begum Rabea Khatun and Late Fazlul Haque, the Editor of the country’s first film related magazine ‘Cinema’ & triumphant maker of the country’s first film on children titled ‘President’, released in the year 1966. He and Kona Reza, his beloved wife, are blessed with two precious daughters named Meghna and Mohona. Faridur Reza Sagar himself played the leading role in the first children’s cinema made by his father. Faridur Reza Sagar has been successfully carrying forward this track and adding to the children’s literature for long two decades now. 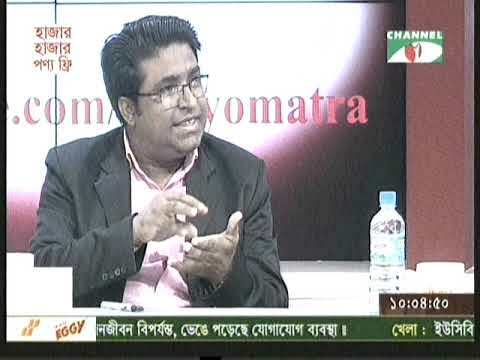 Since his childhood he has been involved with Central Kochikachar Mela, Chander Haat and with many other children-friendly programmes on Bangladesh Television. He was involved with juvenile organization Kendrio Kochi Kochar Mela as a convener and also engaged with ‘Chander Haat’ since his childhood. During his study years in school, he earned fame as a young presenter, program conductor and involving with television program since the inception of Bangladesh Television. He was associated with the Open University for a long period of time. As a person engrossed with boundless vision created golden opportunities by taking new ventures, he has converted pleasure-entertainment wonder world into commerce. Faridur Reza Sagar remains active within large vision and wide activities. He has traveled to many different countries and always enjoyed writing about his experiences that led him to become a renowned writer of many books as well, which could inspire others on positive thinking and development. He is continuously writing different books within the gap of engagement. But he feels comfortable in writing juvenile literatures. He is a pioneer of children/juvenile literatures of this country. 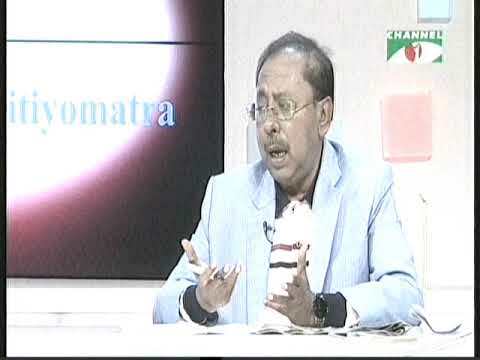 His mentionable publications as books include Ek Boi Golpa, Ekattoray Ora, Meghna-O-Galpa Buro, Meghna-O-Aladiner Prodip, Meghna-O-Eti, Cox’s Bazar Kakatua Kingba Television, Jibober Shangee etc. 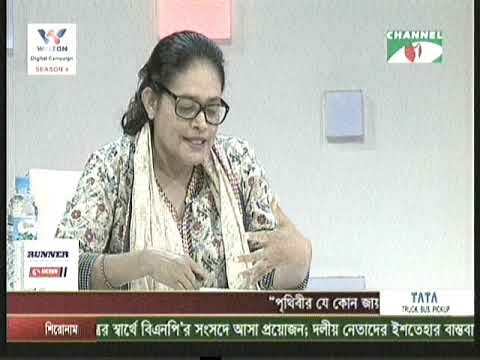 He got Bangla Academy Award anf Agrani Bank Juvenile Literature Award of Shishu Academy. He has written over fifty books for the children. Adventure, Mystery, Travel, Reminiscence, Horror, Liberation War, Fantasy- these are varieties of genres that he has in his bag of creativity, for the children. He has written many scripts and dramas for the children as well. In 2005, for his very special contribution for children’s litterateur he was awarded the Bangla Academy Award. Apart from this, he has received Bangla Academy Award, Agrani Bank Children’s Literature Award, Chander Haat Children’s Literature Award of course, Euro Children’s literature Award. Among the awards, he was also awarded with Bangladesh Film Journalists Association Award, Cultural Reporters Award, national Film Award (2002) and many national level awards. He is the man who changed the image of the film industry who have solely produced at least 42 feature films and he is keeping up the pace of his work and will keep on producing films in the feature. His films, ‘Nirantor’ (Forever Flows, Year: 2006) and ‘Swapnodanay’ (On the Wings of Dreams, Year: 2007) along with many other films have been internationally accredited already. He has traveled most of the countries and is engaged with many cultural organizations too. Faridur Reza Sagar has been illustrious in all the fields of education, literature or culture attached with television media since his childhood and throughout his adolescence ages. “Sense of duty” being the source of his inspiration, he has been a dedicated person in all types of assignment, or duties he has under-taken or he has been associated with. A thoroughly cultural man, Faridur Reza Sagar is industrious and is working relentlessly for all the media chains in Bangladesh. Leading an extremely blissful-life himself, Faridur Reza Sagar has produced fortune where he extended his grip. Impress Group is a great example of successful business, where he is a Director, and its subsidiary company Impress Telefilm Ltd has been making all type of quality programs for Channel-i since its inception. 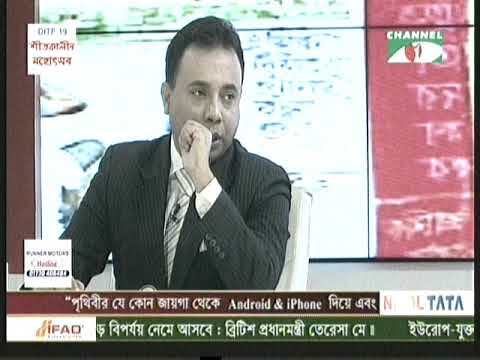 It is worth mentioning Faridur Reza Sagar is the Managing Director of both Impress Telefilm Ltd and Channel-i, the first Bangla digital satellite channel in Bangladesh. The Impress Group first moved beyond textile production and into television in the early 1980s under the tutelage of Faridur Reza Sagor, who had heretofore worked at state-run Bangladesh Television (BTV) on a freelance basis. The initial steps into television involved setting up Impress Telefilm, which produced small mini-series and one-off shows for BTV. The early 1990s, Impress Group looked into starting up its own satellite channel. Channel i was launched in the mid 1990s, broadcasting pre-recorded programs 12 hours day. 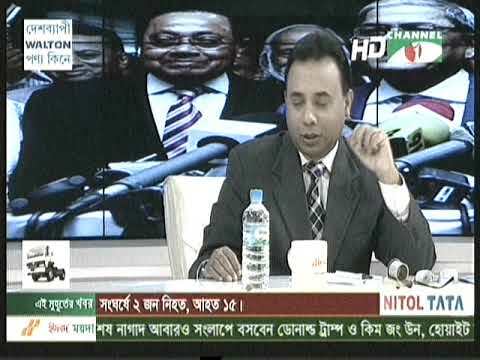 Within two years of its official launch, Channel i began broadcasting 24 hours a day and became the first digital channel in Bangladesh. While Bangladesh continues to face all sorts of complexities with party politics and rivalry, Faridur Reza Sagor is found to be a neutralist. 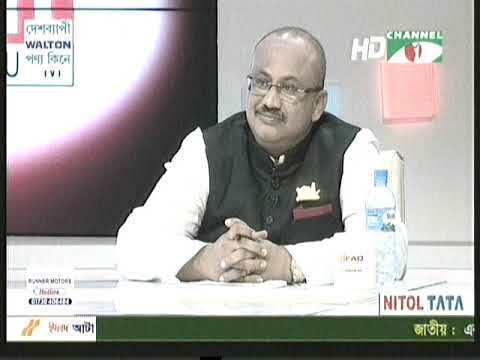 By his initiatives, he has made a neutral ground for open dialogues on Channel-i named Tritiyo Matra which is successfully going on air for the last 6 years. Through this program, he has made a common ground for opinion sharing among the political, economic, social leaders and the mass people. Through such he has made it easier for Bangladeshis around the world to watch their countries affairs on TV as well as express their views. While Tritiyo Matra is just one, over the last decade Mr. Sagor has been a lead initiator and patron for hundreds of other remarkable events throughout the country and with a variety of individuals or professionals, beyond media horizons. Though he is also a fine businessman; we see him being more remembered or referred to by the people of all levels of the society, as they say see him as a great man with a huge heart, a true friend and also amazingly innovative! He has been honored with many mentionable prizes & awards of Art-Literature-Culture segment. He received prize for special contribution to television programs. He traveled world’s important beautiful places only for sightseeing. He is and artist of very superior vision. He is one of the prominent people in the filed of Art & Commerce of this country. Faridur Reza Sagar is exemplifying an exceptional role in quenching thirst of entertainment for all level of cultural minded audiences by planning novel programs for channel i. He believes that a good civil nation can be built up within a normal cultural sphere.